The material we use for the frame is TR90 which is lightweight and durable but has the particular quality of being incredibly flexible, ensuring a comfortable fit that moulds to your head without creating pressure points. And with a weight of just 25 grams (0.88 oz) you'll hardly notice you're wearing them! 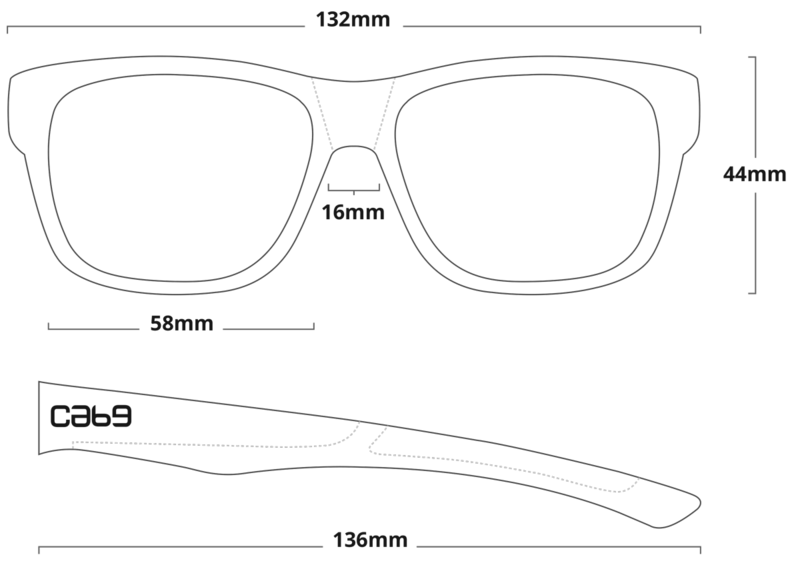 We've given the frame a gentle wraparound style for a wider field of vision and to protect against wind and sunlight entering through the sides. We contoured the arms and placed rubber grab rails along the undersides so you’re less likely to drop your sunnies in the thick of the action or whilst wearing gloves. We also added hydrophilic rubber contact pads at the nose and ears so they won’t slip when things get wet or sweaty. The hinges are secured by a solid stainless steel screw which is completely encased. 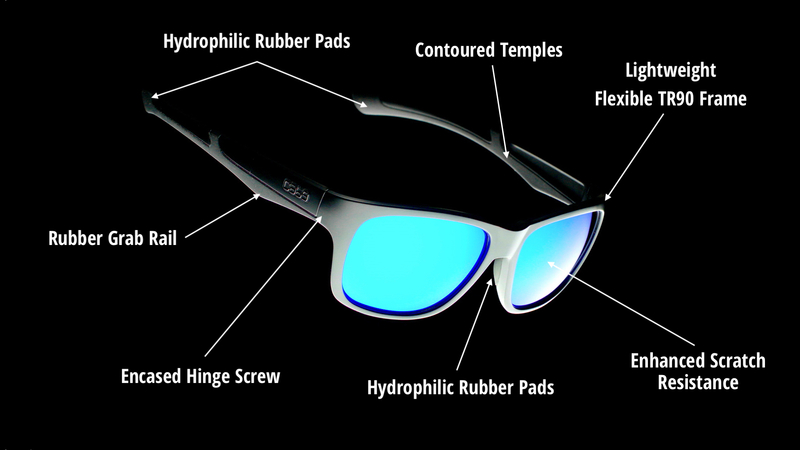 You won’t need to worry about breaking the hinge or getting these sunglasses wet. The quality of the lenses was a high priority. 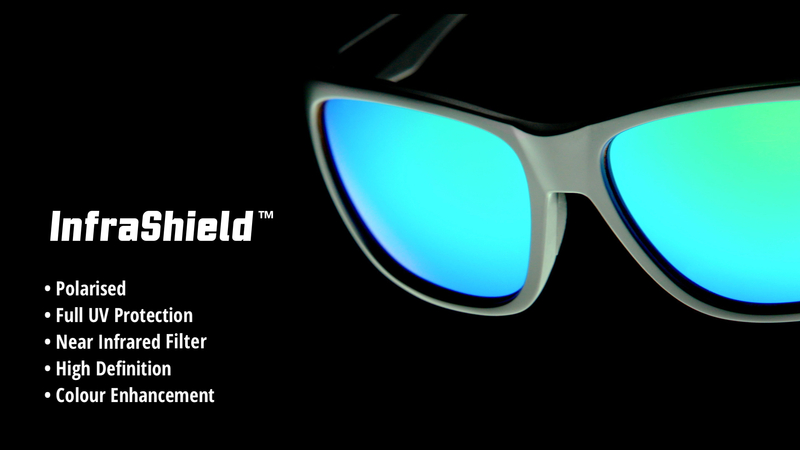 We've worked closely with our lens manufacturer to develop an innovative Polarised Lens with InfraShield technology. 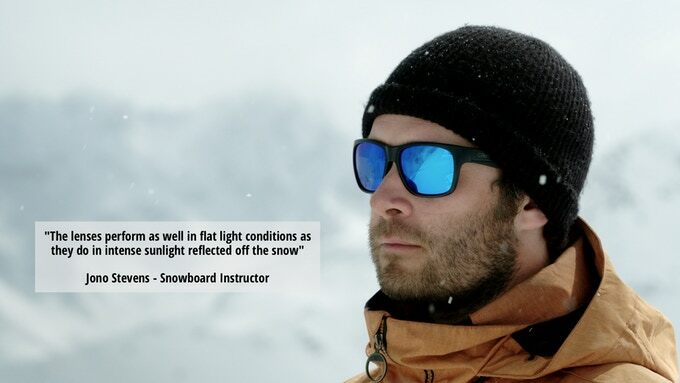 With all the benefits of our standard polarised lens, which significantly reduces glare from reflective surfaces like snow or water, InfraShield uses a patent pending technology to provide infrared protection. This acts as a heat shield for the eyes that reduces eye fatigue and provides an increased level of protection from the sun, ideal for people exposed to bright sunlight for long periods like ourselves. As soon as you wear these sunnies you'll notice your eyes relaxing regardless of the intensity of the light. 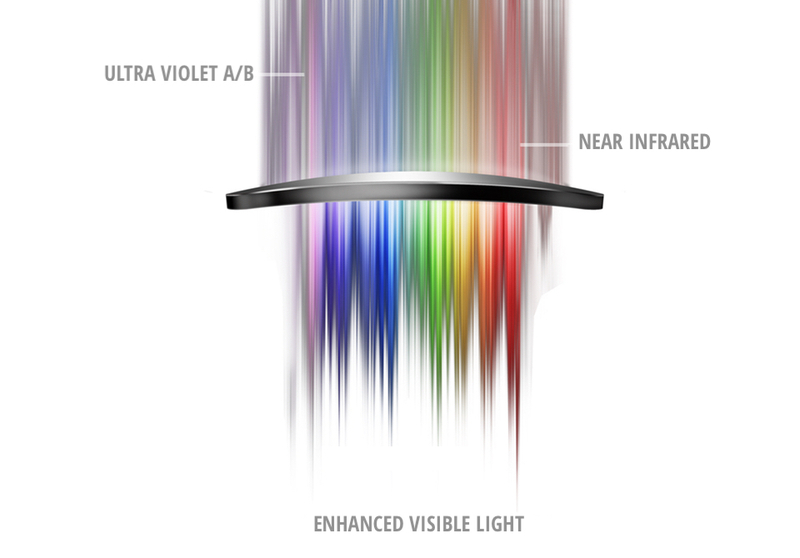 In addition to this, the light spectrum of the lens enhances colours compared to a regular lens, providing ultra-sharp definition. We're super excited about this lens! We tested extensively in a wide range of light conditions and the quality and clarity of vision proved to be outstanding. 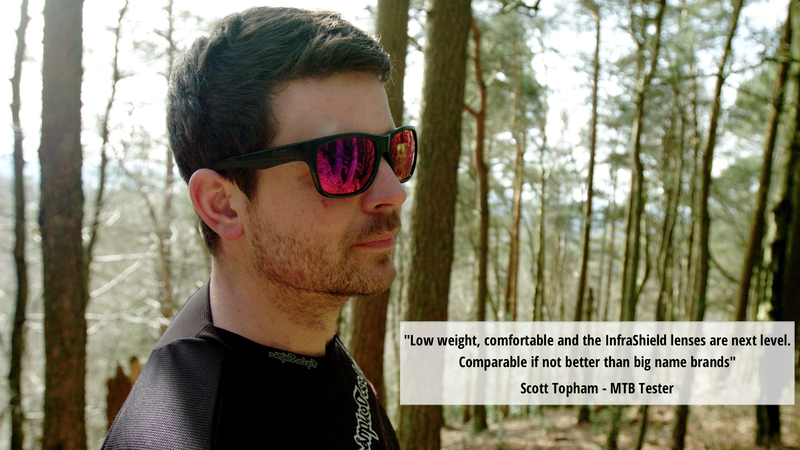 We've given The Edge to highly experienced skiers, snowboarders, MTB riders and other action sports athletes for feedback, and a consistent comment has been that the lens performance is better than many mainstream brands that charge 2 or 3 times the price. 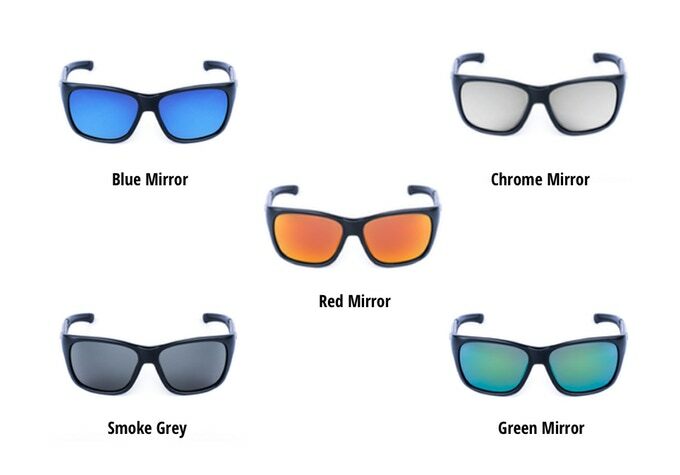 The frame comes in a stylish matte black finish and there's a choice of 5 different eye-catching lens colour options to suit your personal style.